Tracks from Q-Tip, A Tribe Called Quest, The Pharcyde, De La Soul, Common, Busta Rhymes, Janet Jackson, Erykah Badu and more. Hip Hop fans would have bopped their head to many of his beats, but only J. Dilla fans realise just how far J.Dilla’s sound extended through hip hop. J. Dilla, through his sound and production really changed the lives of many, who were able to relate his soulful beats to the moods and the times. This annual show put together by Spin Doctor pays tribute to probably the biggest unsung producer in Hip Hop. Many in the mainstream would have heard many of his beats but not nearly as many no the name who created them. 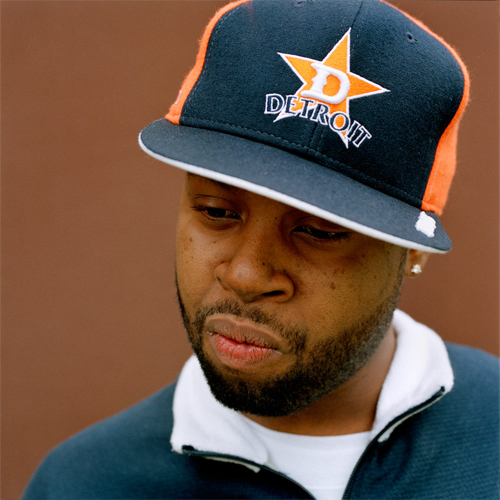 J .Dilla is that name and thousands who DO KNOW THAT NAME poured out to pay tribute. Making a name as a producer in hip hop in the late 90’s seemed to be an easy game. From Puff Daddy, Jermaine Dupri, Rockwilder, DJ Premier, Swizz Beats and Kanye West. In hip hop sometimes the producer can give you more credence than a feature. So why was J. Dilla so unsung? It may be a case of multiple situations working against him. From delayed albums, shelved albums, name changes (from Jay Dee to J Dilla, in response to the already established and aforementioned Jermaine Dupri already using the moniker JD), and some of his most successful commercial work being credited to the producing group The Ummah (Q-Tip and Ali Shaheed Muhammad of A Tribe Called Quest, and J. Dilla. Plus occasional members included Raphael Saadiq, and D’Angelo). Additionally, J. Dilla was part of the hip hop group Slum Village (of who his younger brother Illa J is now a member). And let’s be honest how many hip hop heads can name all the members of Slum Village. J. Dilla seemed to have beats in excess because even since his passing many new beats by Dilla have popped up and been used. Including a whole albumworth of beats used by his younger brother Illa J. There are also many unreleased gems that can now be easier found thank to the internet. Track such as “The Ugliest” performed by Busta Rhymes and featuring the late great Biggie Smalls. J. Dilla truly is an influential producer in hip hop with even Kanye West crediting him as one of his many inspirations. Bringing fans together in celebration of the legendary hip hop producers life was just half the show. The event also helped create awareness and raise funds for Lupus UK and the J. Dilla Foundation which help and support those suffering with the systemic autoimmune disease, Lupus. The night wasn’t just DJ’s though. The organisers had something very special in store for all in attendance. Both J. Dilla younger brother Illa J and his mother Ma Dukes Yancey were both in attendance. Illa J performed several classic tracks before introducing his mother to the stage to large applause. Ma Yancey gave a few words and showed her thanks at the continued love shown to her son and the support for both the J. Dilla foundation and Lupus UK. The Mixup were spent some time with Ma Dukes Yancey who gave her love and caught a short word with Illa J who very much appreciated the support. 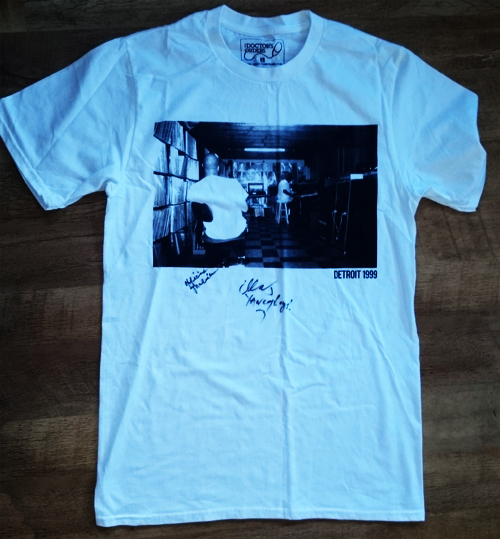 Both Illa J and Ma Dukes Yancey signed an exclusive Spin Doctor J-Dilla t-shirt for us to give away. See below for further information. The night continued on till midnight with that classic J’ Dilla style hip hop and good vibes. Knowing it was all for a good cause just added the icing to an already enjoyable cake. To win our signed t-shirt (Size Large) Simply leave a comment below, tweet us or leave a message on our facebook page as to which J. Dilla track changed your life. The T-shirt is signed by J. Dilla’s mum and head of the J. Dilla Foundation, Ma Yancey. It is also signed by J. Dilla younger Brother and Slum Village member Illa J.